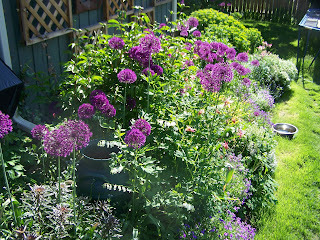 More friends and a blog: More alliums. 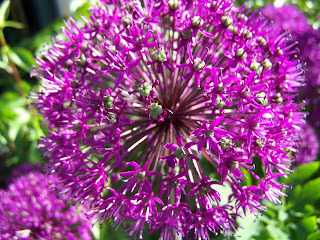 Here you are, Katherine, a picture of a bunch of the alliums in full bloom. And here is a close up of one just beyond peak bloom, I love the contrast of colours. I will remember to save seeds for friends, I will remember. oh WOW! SO beautiful! all that from such a tiny seed? BEAUTIFUL!! Please, please, seed for me?